Essentially Prog was trying to take music in the post-Beatles era and continue to progress with it, moving it into more complex and experimental forms. Insane time changes and chord progressions melded with expansive songs that told stories or illustrated concepts. The high-minded intellectualism, virtuosity and yes, pretentiousness, of Prog offended many rock and roll purists who didn’t want to be bothered with any chords outside of their three sacred ones. Did he ever switch legs? Prog was also ripe for parody. 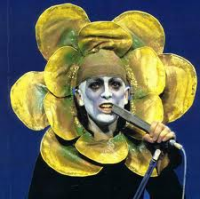 You did have Peter Gabriel dressing as a giant flower on stage. 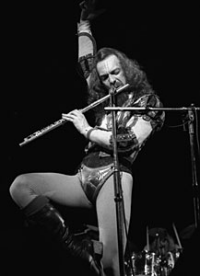 Ian Anderson stood on one leg playing his flute so long that you wondered if he had one really muscular leg and one tiny leg. The revolving stage used by YES gave all their fans a great view of Rick Wakeman losing his balance and falling down behind his keyboards. The excesses were easy to make fun of. Spinal Tap, the heavy metal parody band, was born out of a sketch/song on a 1974 National Lampoon record called “Art Rock Suite” that mocked the pretentiousness of the Prog scene. Yet, the music was a true progression. It was complex, beautiful and challenging, and exquisitely played. Of late, the artistry and virtuosity of Prog has finally started to earn the respect it deserves. I’ve written about PROG Magazine in PopCult before. It’s great to have an entire magazine that respects this long-neglected musical force. Of course, with attention comes controversy. It’s not a big controversy. Nobody caught Keith Emerson twerking or anything. The issue at hand is just exactly which bands are Prog? Over the years the definition of Prog has expanded. 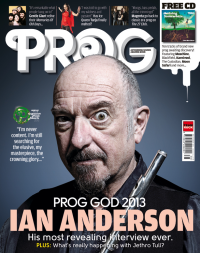 Bands that wouldn’t be considered Prog back in the 1970s are cover features in PROG Magazine now. It’s not a bad thing. In the 1970s, to be considered Prog, a band had to have a bank of twenty keyboards, a guitarist that could play faster than any human, an elaborate stage set and album art that you could get lost in. Today Prog includes Jazz Fusion, New Age, Ambient, some New Wave and quite a bit of what used to be considered Heavy Metal. And it’s only fair. The whole notion of progressive rock was to break out of narrowly-defined labels to “progress” into new musical forms. Prog is healthier today for progressing beyond its former pigeonhole. 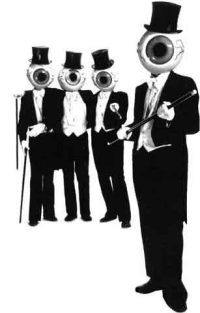 The Residents. I say they’re Prog. Yet it’s fun to look back at what used to be considered “Prog” and what wasn’t. PROG Magazine runs a regular feature called “The Outer Limits” where people debate whether or not certain bands were Prog. I was quoted in the installment about The Residents a couple of issues ago. it made me consider the evolution of Prog, the genre, not the music itself. Back in the 1970s, progressive rock was connected to the British, classically-trained scene. The mainstays were YES, Emerson Lake and Palmer, Genesis, Jethro Tull, and King Crimson. Pink Floyd, David Bowie and Queen were admired by most Prog fans, but were considered borderline Prog because of their great success with mainstream audiences.They were labelled “Art Rock,” which was essentially the same as Prog. Rush and Blue Oyster Cult were not considered Prog. They were lumped in with Heavy Metal. Many times they were called “thinking man’s metal” because rock ciritics of the day like to damn with faint praise. 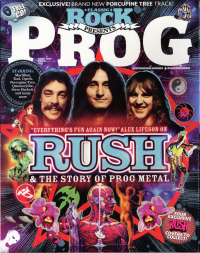 It seems like Rush is on the cover of PROG Magazine once or twice a year. It’s hilarious to think that they used to be considered metal, and were lumped in with KISS and AC/DC. 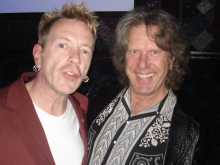 Now it can be told: Johnny Rotton and Keith Emerson were in it together all along! It’s been widely documented how punk music came along as a reaction to the excesses of Prog, and it coincided with a dark era for the genre. The leading bands of the movement were imploding or going on hiatus. By 1980, Prog seemed to have peaked, but there were still major things happening. 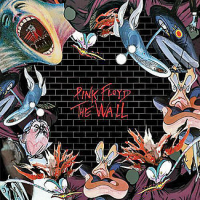 With “The Wall,” Pink Floyd pretty much cemented their reputation as both a major commercial force and a Prog band in good standing. They had a double-album concept album with cool artwork and an elaborate stage show. On the other hand, Queen dabbled in disco, rockabilly and dance music, and was distanced from the Prog scene. David Bowie seemed to be too busy actually progressing to be considered Prog. Punk music flamed out pretty quickly. The best bands of the punk scene turned to New Wave, Goth, Electronica, Ska and other musical types of musical genre. One punk band, The Stranglers, could easily be considered a Prog band today. However, around this time the Prog bands of the 1970s seemed to be going the way of the dinosaurs. 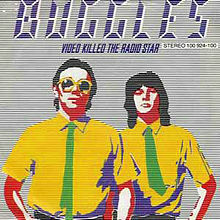 Rick Wakeman and Jon Anderson left YES, and were replaced by New Wave hitmakers, The Buggles (Trevor Horn and Geoff Downes). 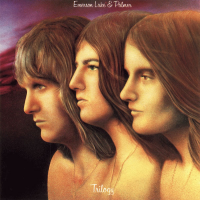 ELP went in three different directions. Genesis, following the departure of Peter Gabriel, began the transition from Prog to Pop. Jethro Tull kept at it, but ventured into electronica and hard rock. Robert Fripp put King Crimson on ice in 1975, but brought them back with a New Wave edge in 1981 with two new musicians. But it was dark days for fans of the bombastic, overblown Prog of the previous decade. There were moments of hope, like the debut albums from Marillion and Pallas, but mostly disappointment. Then weird stuff started happening. This was the number one album in the country when ASIA played The Charleston Civic Center. It was a great show, but not Prog. And having a juggler as the opening act was pretty chintzy. Although, when the juggler tossed a flaming tennis ball into the crowd (it went out before it got there) and someone re-lit it and threw it back, hitting the juggler in the crotch–well, it remains one of the coolest things I’ve ever seen on stage. YES split up again when Geoff Downes and Steve Howe left to form ASIA with Carl Palmer and John Wetton. 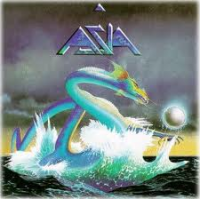 ASIA was a huge commercial success, but with hindsight it’s obvious that, despite having a Prog pedigree that included YES, ELP, King Crimson and UK, ASIA was not terribly progressive. They made well-crafted and impeccably-played arena rock, but it’s not really Prog. Then YES reformed. Jon Anderson returned, as did Tony Kaye, their keyboardist before Wakeman. With the addition of Trevor Rabin (and production from former member Trevor Horn) the band went on to have their biggest hit ever with “Owner of a Lonely Heart.” The band sounded great, but lost steam after one great album. Genesis and Peter Gabriel both released a slew of radio-friendly hit singles. Some New Wave bands started showing hints of Prog. Then the biggest change in Prog came when Metallica came along and redefined what Heavy Metal was. Famously, in 1988, Jethro Tull beat out Metallica for the Grammy Award for Best Hard Rock/Heavy Metal album. That was not as outrageous as it seems. Note that the catagory was “Hard Rock/Heavy Metal.” The Jethro Tull album in question, “Crest of a Knave,” was definitely hard rock. The band had reinvented themselves with a harder-edged sound in the wake of the success of YES, ASIA and the revved-up ZZ Top, and it’s a damned good album. Metallica at that point was a potential flash in the pan in the eyes of the music industry. They turned out to be quite influential, though. After Metallica, the days of the hair metal and hard rock bands were numbered. If you didn’t play dark speed metal, you weren’t metal at all. 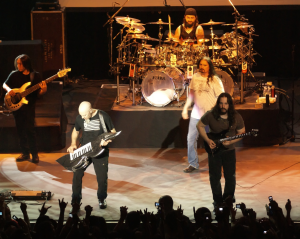 At that point, Dream Theater became a Prog band. This band, who had been plugging away as a metal unit, found a warm welcome in the land of Prog. This was when Prog fans became truly progressive, embracing New Wave bands like Talk Talk and The The, accepting progressive metal outfits, admitting that they’d been listening to Frank Zappa, John Coltrane and Weather Report all along. The 1980s weren’t completely devoid of traditional Prog. There was Marillion, and by the end of the decade ELP had reformed and there were enough former members of YES to staff two complete bands. Still, the true Prog fan will bask in the glow of the bombast. Since Dream Theater made it okay to like 1970s Prog again, dozens of new bands sprung up. Some of the original bands are still plugging away too, with or without original members. There is more quality progressive music being made today than ever before and it covers more daring and experimental territory than ever before. And this time. It’s getting some respect. Not Rock and Roll Hall of Fame respect, save for Rush, who still aren’t Prog in my mind, but a little respect is more than what they’re used to. STUFF TO DO will be posted later today.